23rd October 2015. 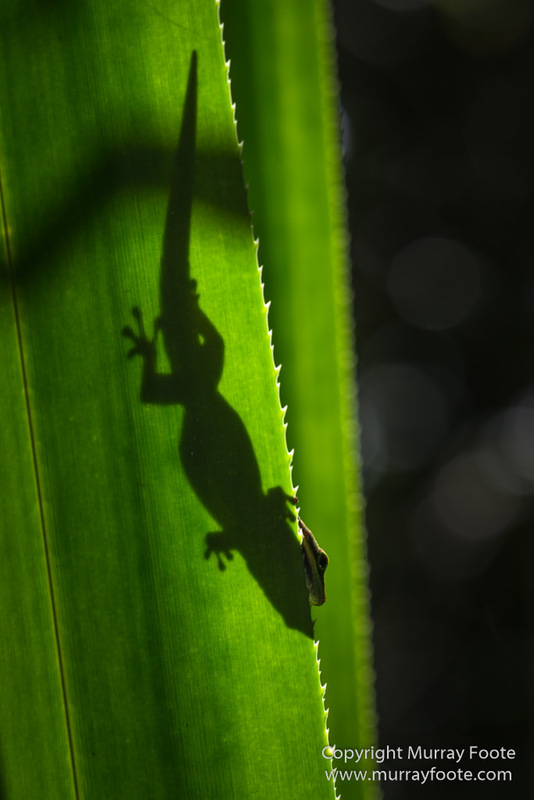 Mantadia, Madagascar. We were due to head back to Tana but had enough time for another hour of two in Mantadia. An Indri, distant at first, then coming very close. 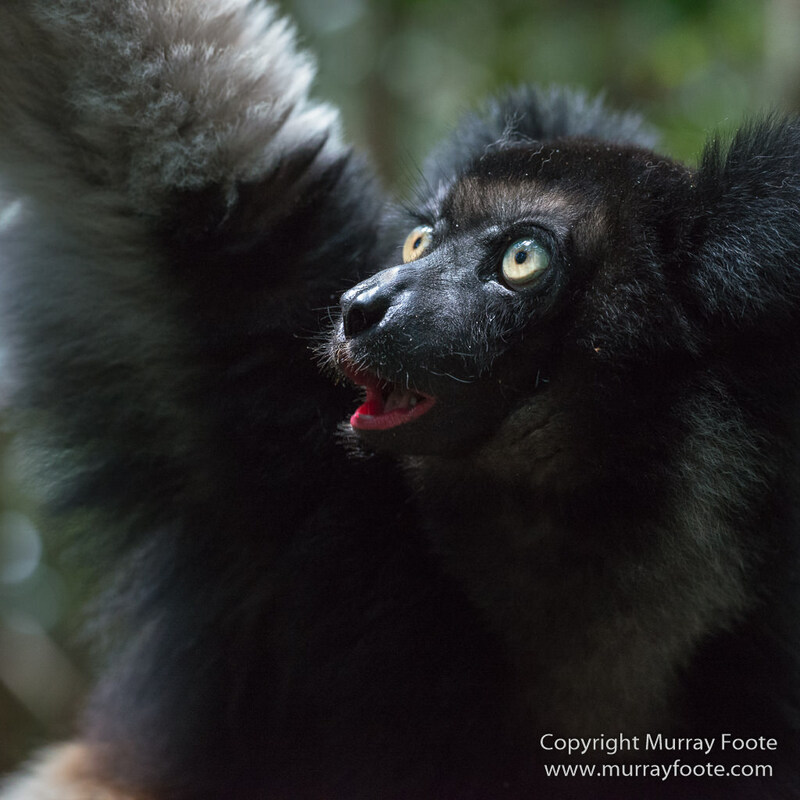 Indri have the most amazing calls, eerie and musical, echoing through the forest. 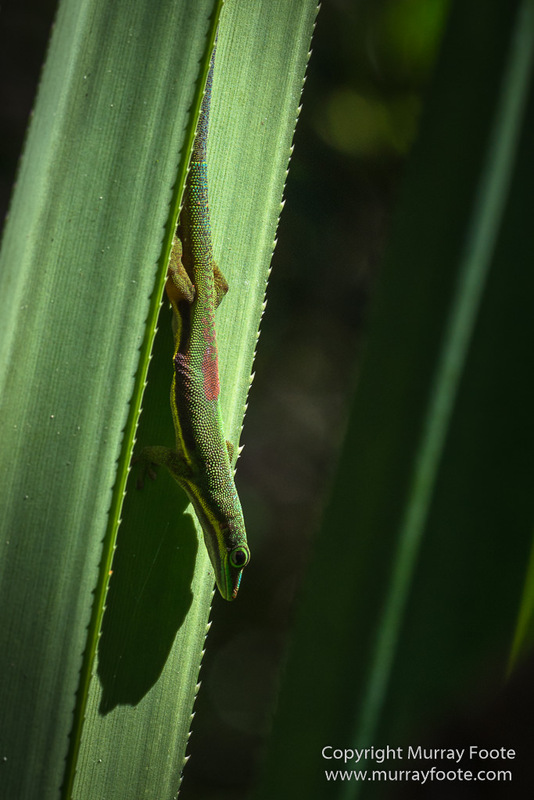 You really appreciate how loud they can be when you are close. The calls travel several kilometres. Do have a listen to this audio recording. 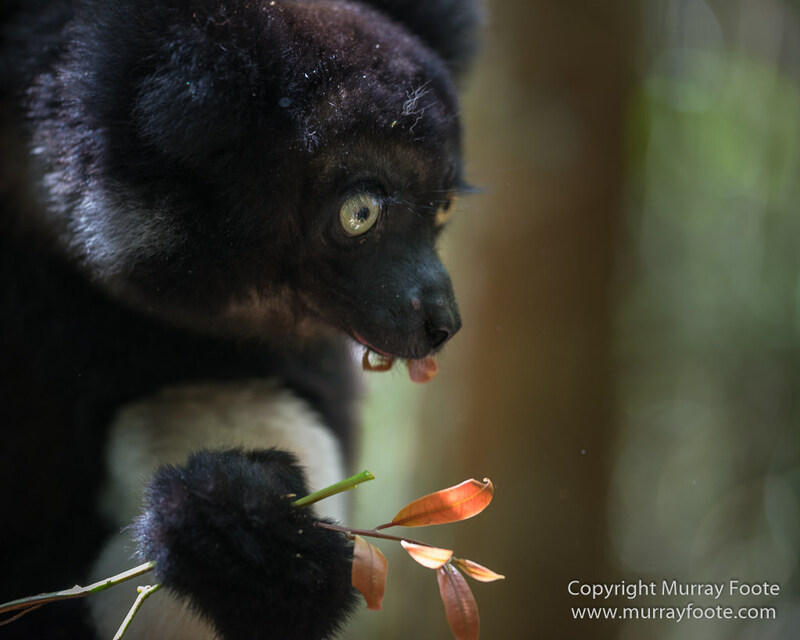 This particular Indri was rescued as an infant and reared by rangers. They don’t usually come so close, just a few feet away. 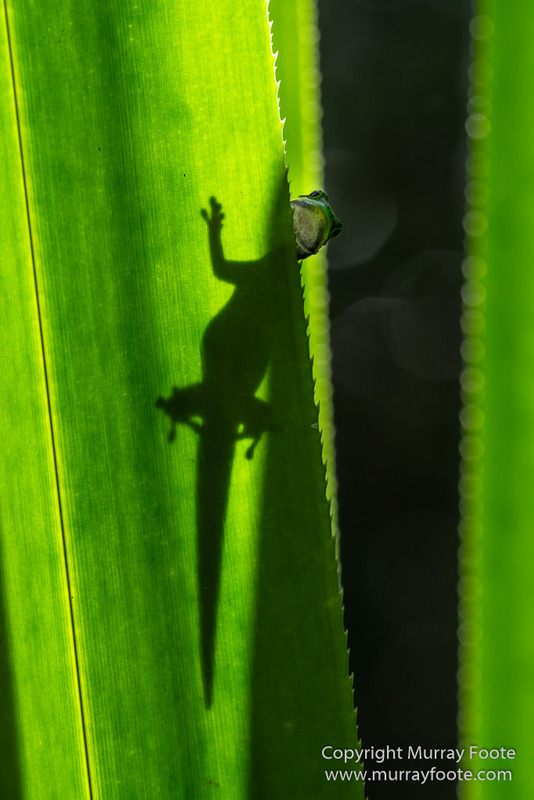 This entry was posted in Madagascar and tagged Day Gecko, Gecko, Indri, Landscape, Lemurs, Madagascar, Mantadia, Nature, Photography, Travel, Wilderness, Wildlife. Sorry, I missed your comment. Thanks very much! Fantastic images, Murray! 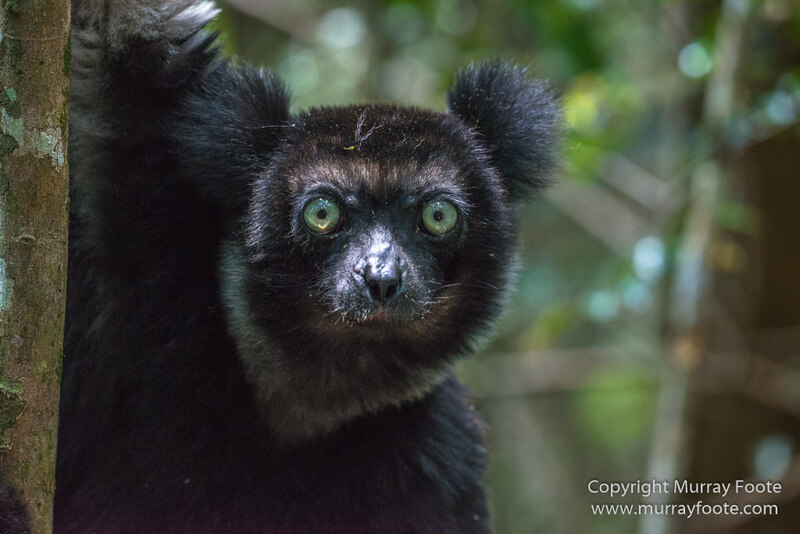 The stare of the Indri – I have never seen this before. Thank you. Thanks very much Jane. 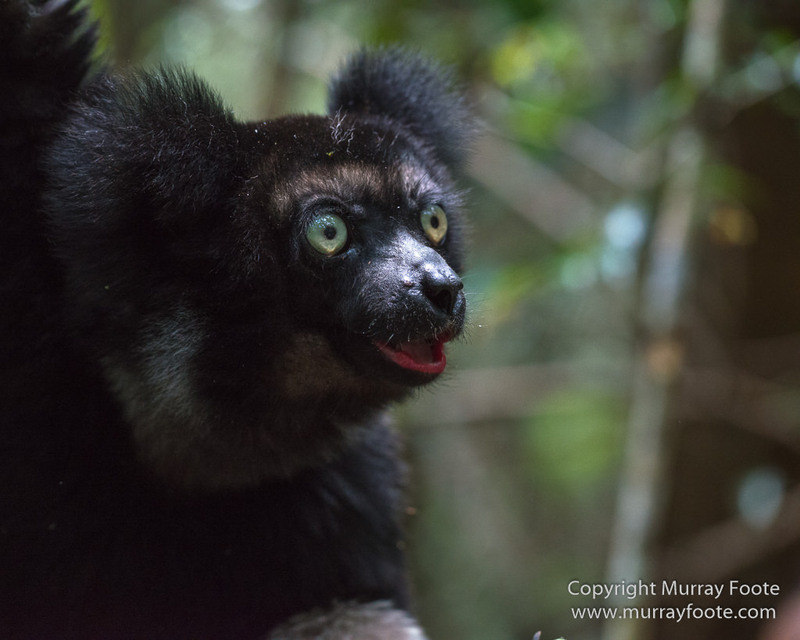 The Indri are amazing! They really do stare don’t they, and that sound is positively eerie. 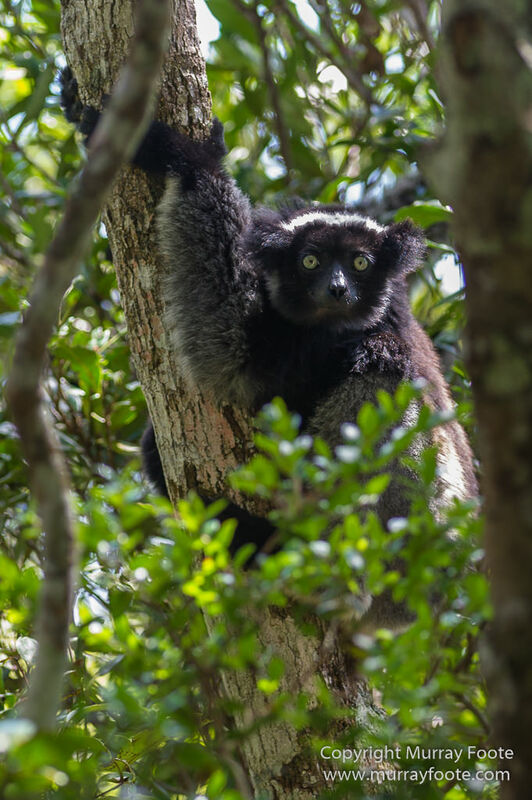 Those Indri sound quite amazing. I don’t think you could ever tire of it.